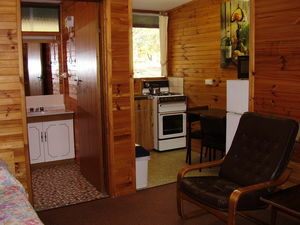 Motel style with full kitchen / dining alcove, double bed, 2 lounge chairs, TV and bathroom. Note: Blankets and Pillows provided. You will need to provide your own bed linen and towels. ( If required, bed linen can be hired - $15 ).